Ed Sheeran released the music video for “Castle on the hill” last week and now there is a visual for “Shape of you” too. 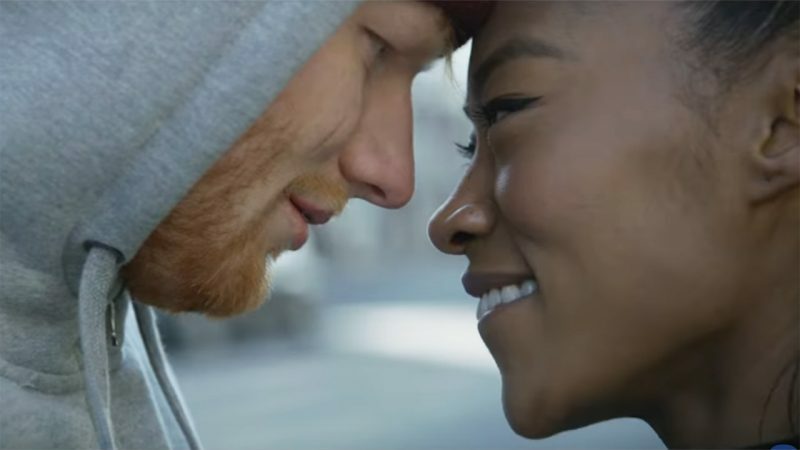 Directed by Jason Koenig, the man behind Macklemore and Ryan Lewis’ video for “Downtown”, and filmed in Settle, the clip sees Sheeran and a woman, played by Jennie Pegouskie (Fresh Prince of Bel Air), training for a boxing match and heading out on a date together. The British singer showed off his newly slimmed-down figure. Sheeran is set to perform on the upcoming Feb. 11 episode of Saturday Night Live, marking his first U.S. television appearance since the 58th Grammy Awards ceremony in February 2016.